The industries best! 203,000 online wiring diagrams. Mitchell1(R) obtains wiring diagrams and technical service bulletins, containing wiring diagram changes, from the domestic and import manufacturers. These are checked for accuracy and are all redrawn into a consistent format for easy use. All system wiring diagrams are available in black and white format and may be printed depending on your program settings and available printer hardware. In the past, when cars were simpler, diagrams were simpler. All components were connected by wires, and diagrams seldom exceeded 4 pages in length. Today, some wiring diagrams require more than 16 pages. It would be impractical to expect a service technician to trace a wire from page 1 across every page to page 16. Removing some of the wiring maze reduces eyestrain and time wasted searching across several pages. Today, the majority of Mitchell1(R) diagrams follow a much improved format, which permits space for internal switch details, and component and ground locations. 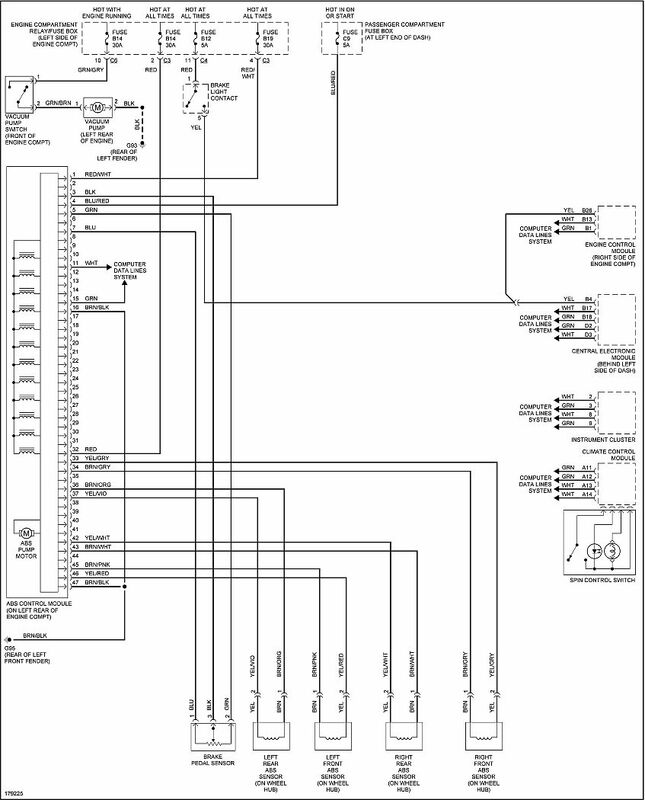 Components shown with a dashed line instead of a solid line indicate not all circuits are shown in this particular diagram (circuits shown in system diagrams are typically applicable to that system only). The remaining circuits connected to that component will be shown in the appropriate system that they apply to. 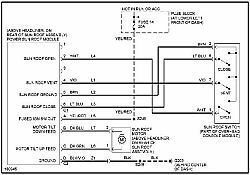 Today, the wiring diagram necessary to support a given repair procedure is included within that article or a link is provided to the appropriate SYSTEM WIRING DIAGRAM article. For example, the wiring diagram for a Ford EEC-IV system may be included in ENGINE PERFORMANCE and WIRING DIAGRAMS articles for Ford Motor Co. The wiring diagram for a cruise control system may be included in ACCESSORIES & EQUIPMENT section for the specific vehicle manufacturer, and the wiring diagram for an anti-lock brake system may be included in BRAKES and WIRING DIAGRAMS for the specific manufacturer. WIRING DIAGRAMS contains all wiring diagrams not included in STARTING & CHARGING SYSTEMS and ACCESSORIES & EQUIPMENT. This includes: Data Link Connectors, Ground Distribution, Power Distribution, Engine Performance, Electric Cooling Fans, Anti-Lock Brakes, Electronic Suspension and Electronic Steering wiring diagrams. The Data Link Connectors wiring diagrams show the circuits by which the various on-board computers exchange information, and the diagnostic connectors used for diagnosis and their location. The Ground Distribution wiring diagrams show all vehicle ground points, their location, and the components common to those ground points. The Power Distribution wiring diagrams show the power feed circuits and the components common to those power feeds. Wiring diagrams used to support the information in ACCESSORIES & EQUIPMENT are drawn in a "top-down" format. The diagrams are drawn with the power source at the top of the diagram and the ground point at the bottom of the diagram. Component locations are identified on the wiring diagrams. Any wires that do not connect directly to a component are identified on the diagram to indicate where they go. When trying to locate a component in a wiring diagram and you don't know the specific system where it is located, use this handy component locator to find the system wiring diagram in which the component is located. Then, go to that system and locate the component within the wiring diagram. For example, if you don't know the specific system in which the ignition switch is located, look up ignition switch in the wiring diagram component location tables and go to the appropriate wiring diagram(s) which contain either full or partial views of the ignition switch. The full view of the ignition switch is located in Power Distribution. For more information and the full version of wiring diagrams, please click SUBSCRIBE.